In India, plants are worshipped as God. Plants like peepal, Banyan, neem, Mango and certain other herbs are worshipped as the Mother Goddess. This ritual has been performed since from immemorial times. They gifts us fruits, shade, pure oxygen, woods, medicines and many other things which are precious. Herbs are plants are considered to be an Herbal medicine as they provides us many things which are same like the potent medicine. Here, we will be talking about herb called Basil; it is also called ‘Holy Basil’ as it is worshipped. 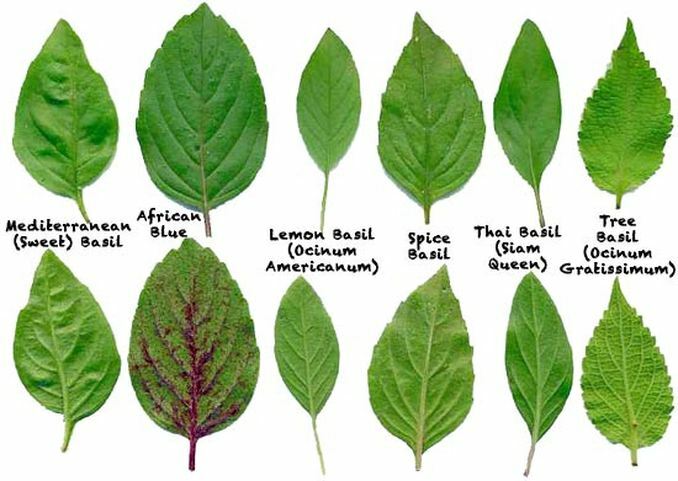 Holy Basil or Basil or Tulsi all are same. Explaining the importance of holy basil is like trying to describe the importance of sun. It is a medicinal herb which is liable to cure any type of disorder. It is taken as goddess. 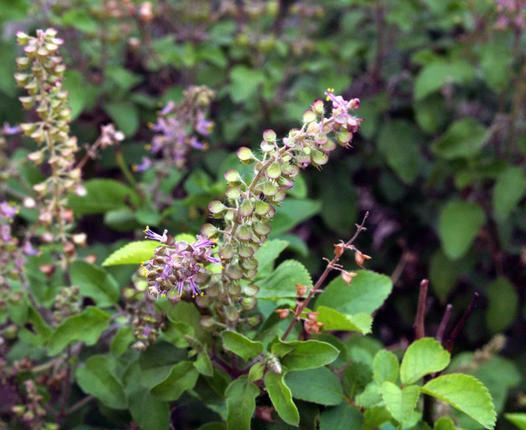 In India, a special day is worshipped for this herb regarded as ‘Tulsi vivah‘. It is easily available, fragrant and beautiful. The very herb is approximately 2- 2 1/2 ft in height nd bears tiny green colour leaves. It also bears flowers. In addition to medicinal values, it is known for its religious values also; hence is grown in every household in India. The plant is so fragrant that you can even have the fragrant glimpse from wide apart. It is said that, Lord Shree Krishna loved this plant a lot. THe leaves and branches of basil are violet, green or black in colour. This very plant is found in several varieties. The leaves are used in many cuisines to give a pungent flavor to the dish. 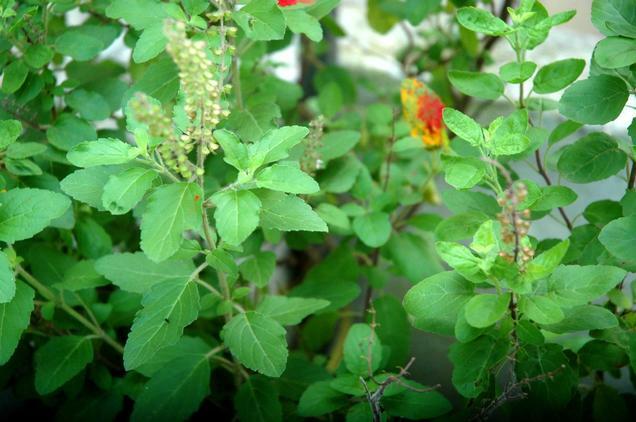 Tulsi leaves are flowers are often used in the preparation of herbal tea. Leaves of Tulsi mixed with water is given to the dying person so that the departed soul gets heaven. Tulsi leaves are kept in grain storage as the insect repellant. Mix 20 gm powder of Tulsi with 40 gm powder. Give 1 gm of this mixture in winter for few days. It eradicates weakness and enhances and strengthens the body system. It also gives strength to tendons and ligaments. Give 1-2 gm powder of its shade dried buds with honey. Or, swallow 5 basil leaves with water everyday. It enhances memory power, intelligence and helps in brain development. Put few drops of its oil in nostrils; it cures all types of headaches. Apply its oil on hairs. It helps to kill hair lice. Keep basil leaves with black pepper just below the aching tooth. It gives relief in toothache. Take 5-10 gm of juice of black basil. Mix it with double amount of cow’s ghee. Give basil juice with juice of green cardamom and ginger. It is beneficial and stops vomiting. Grind 10 basil leaves with 1 gm cumin seeds. Mix honey in it and give this to the patient 3-4 times a day. It immediately cures the gripping stomach and controls motions. Or, prepare 50-60 gm hot infusion of basil and mix jaiphal powder in it. Give this to the patient 3-4 times a day. It cures diarrhoea. Give the decoction of its leaves at an interval of 3 hours. It cures malaria. Give 5-10 mg juice of its leaves with chilli powder mixed in it. Give this thrice a day. It cures malaria fever. Take 20 basil leaves and 10 black peppers. Prepare decoction of these and give this to the patient twice a day. It is beneficial in all types of fevers. Basil plant is anti-malaria. The air when comes in contact of the plant, generates such an effect that redirects the malarial mosquitoes away. So, everyone should plant basil plants in their houses. Give 5-10 mg juice of its leaves and apply the paste of its buds and root on the bitten area. In case the victim his has fainted, put drops of its juice in the nostrils of the victim, repeatedly. Boil 10-20 gm basil leaves in water and then let it cool. Apply the paste on the ulcers. Juice of its leaves is also beneficial in healing the ulcers. Grind 10 basil leaves and mix the solution with honey and give this to the patient. Take equal amount of juice of black basil, forest basil and mint. Give this to the patient thrice a day for a week. It is beneficial in Typhoid cure. Basil oil is very beneficial to lighten your skin complexion and also cures all kinds of skin problems. Grind basil root and mix ginger root in it. Give this patient in the morning. To remove blackheads; mix basil leaves paste with brown sugar. Gently rub the face with this, it removes all kinds of blackheads and white heads from your face. Take 21 basil leaves, 5 cloves and 1/2 gm ginger juice. Grind them all and strain. Warm the mixture and then add 10 gm honey in this. Mix with water and give this to the patient. 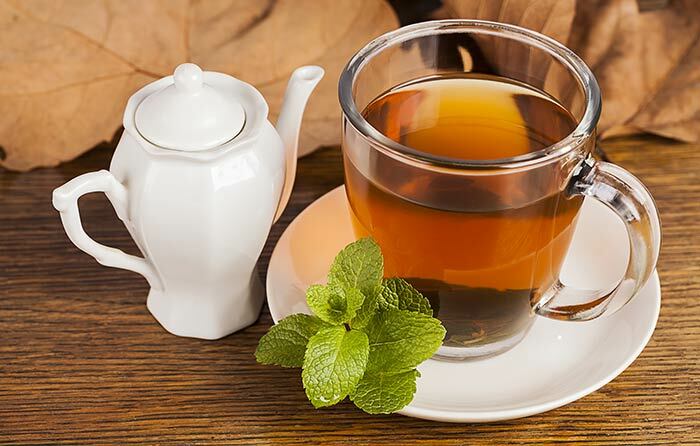 Give hot infusion of basil leaves thrice a day before meals. It can be given in weakened digestion and weakened state of body. Put 5-10 mg of basil juice in eyes for several times a day. Take 50 gm basil leaves, 25 gm ginger and 15 gm black pepper. Boil them in 500 ml water and prepare the decoction. Strain the solution and add 10 gm powder of cardamom seeds and 200 gm sugar syrup. Make as the solution gets thick. Give 1 teaspoon of this decoction to children and 2-4 teaspoon for adults. It is beneficial i cough, whooping-cough and throat infections. Holy basil is like the nectar or amrit in present world. It has the capability to cure many forms of diseases. So why to waste money and heath for such treatments? Always believe in nature and opt for herbal remedies. There are free from side-effects, affordable and eco-friendly. So, take care and live well!